Get unrivalled insight into your industry’s entire digital landscape with AI-powered business intelligence. Whether you want to monitor competitors, products, clients or even your own brand, we’ve got you covered completely. Know every important change in your industry as it happens, react instantly and stay ahead. Track anything you want, across any channel, and automatically receive intelligence 24/7. Receive only the intelligence that matters. Our finely tuned AI engine cuts out the noise. React quickly and strategically to alerts with the help of concise and actionable insights provided by our expert analysts. See a concise, real-time summary of the latest industry activity on your bespoke Business Intelligence Dashboard. 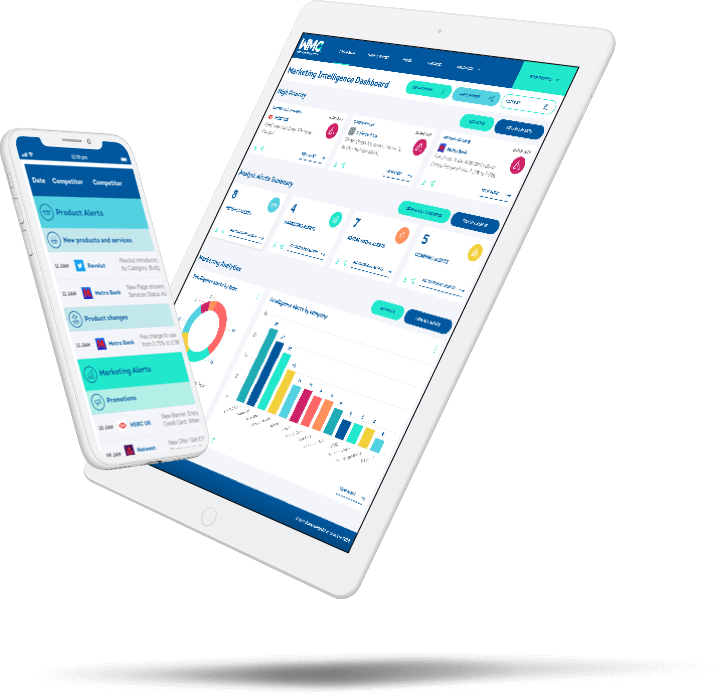 Fully customisable, cloud-based and constantly updated, the dashboard is a flexible and ultra-convenient hub of all the information you care about most.